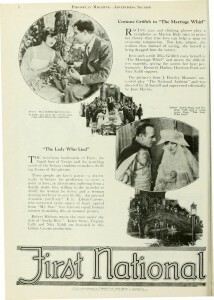 Information on Nita’s films was derived from Wid’s Film Daily, Wid’s Yearbooks (1920-1928), Film Daily, Motion Picture News, Motion Picture World, The Motion Picture Almanac 1929, the International Federation of Film Archives (FIAF) database, the American Film Institute (AFI) Catalog of Feature Films, and from the Margaret Herrick Library of the Academy of Motion Pictures Arts & Sciences. Information on Die Pratermizzi was provided by Nikolaus Wostry of Filmarchiv Austria, translation by Martin Semlitsch. Information on The Mountain Eagle was derived from J. L. Kuhns, “Filmography Notes on the The Mountain Eagle,” The Mountain Eagle core production file, Margaret Herrick Library, Academy of Motion Picture Arts and Sciences. 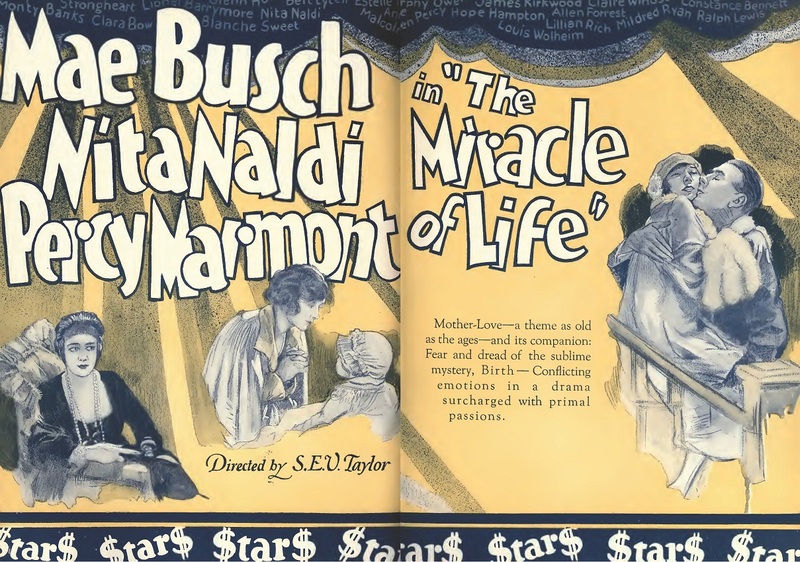 Information on The Ten Commandments was derived from Robert S. Birchard’s Cecil B. DeMille’s Hollywood, The University Press of Kentucky, 2004. Films are listed in order of release date. DVD: DVDs are available through Image Entertainment (1999) and Kino (2001). The two releases are compared and discussed at Silent Era. Note: J.W. Film Corp. acquired The Common Sin, retitled it as For Your Daughter’s Sake, copyrighted it (LU17208), and rereleased it as a 5 reeler in late 1921. Note: This film was produced at Peerless Studios in Ft. Lee, NJ. It premiered in Stamford, CT in late October 1920 but was not distributed nationally until Famous Players-Lasky released it in 1921. Per FP-L’s file synopses: positive footage 4,712 ft. negative footage 3,631 ft. negative titles 1,270 ft. (Wid’s gives total footage at about 6,500 ft.). Note: Negative cost $325,000, domestic sales $449,000, foreign sales $123,000. 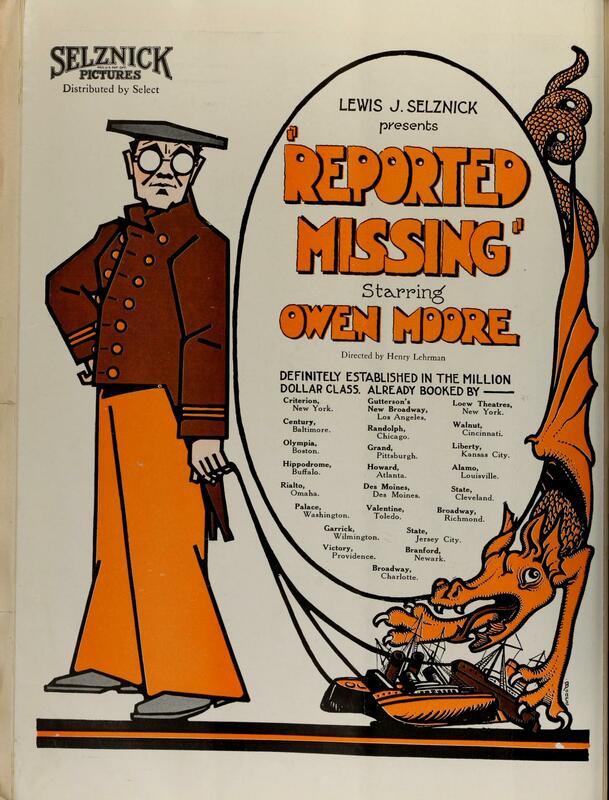 Note: Play purchased April 27, 1922 for $7,500.00; negative cost $121,000.00. 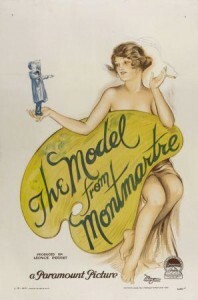 Note: Novel published by D. Appleton & Co., 1922. Purchased August 25, 1922 for $15,000. Negative cost $262,000. Domestic sales $462,000, foreign sales $79,000. Property purchased July 21, 1921 for $7,500. Negative finished April 12, 1923, cost $200,000. Domestic sales $496,000, foreign sales $89,000. 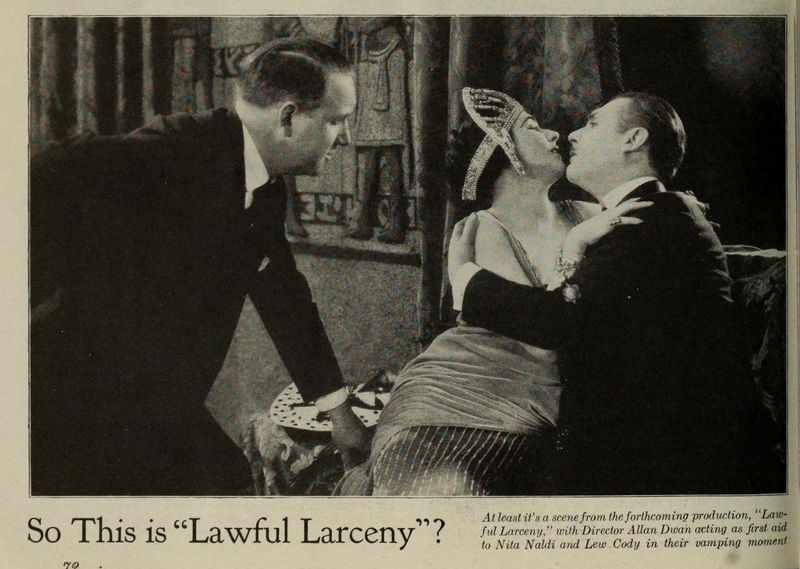 Note: Paramount sold the property to RKO, which remade the film in 1930. Note: Story purchased September 30, 1922, for $2,000. Negative footage 8,218 ft., negative cost $201,959. DVD: Available as an extra on the 50th Anniversary DVD release of DeMille’s 1956 The Ten Commandments. Note: Picture started: May 21, 1923. Picture finished: August 16, 1923. Length: 11,756 feet (14 reels). Cost $1,475, 836.93. Gross: $4,169,798.38. DVD: Not available on DVD. A 35mm print is held at the Library of Congress. The film was shown at Le Giornate del Cinema Muto XV in Pordenone in 1996 and at Cinecon in Los Angeles in 2010. 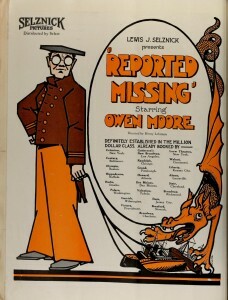 More information on the film is available from the Pordenone database. Note: Play and book purchased October 18, 1923 for $40,000.00. Script cost $5,414.48, negative cost $112,798.41. Negative completed February 11, 1924; foreign footage 6,729 ft, American footage 6,697 ft. Note: This film is usually credited with the American release title of Fearogod. Hitchcock scholar J. L. Kuhns disputes this credit, stating “the evidence for this is nil.” Your Naldi Investigators have reviewed the available documentation and concur with Kuhns’s finding. Contemporary mentions of this film in American sources use the title The Mountain Eagle. Fearogod was probably a working title. 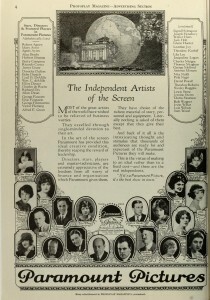 Film Daily Yearbook, 1927, pgs. 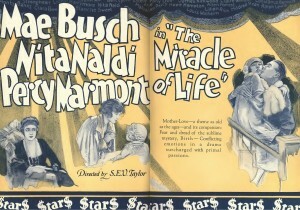 332, 373, and 418, showing American release title as The Mountain Eagle: Film Yearbook 1927, pg. 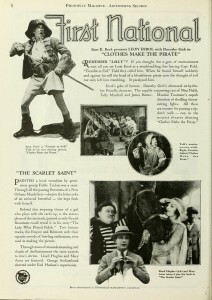 332, Film Yearbook 1927 , pg 373, Film Yearbook 1927, pg. 418. 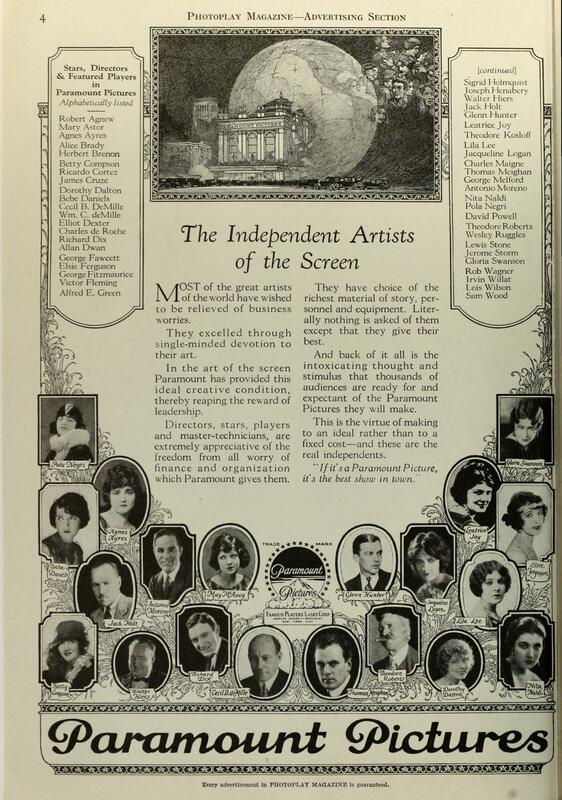 Images courtesy Internet Archive, at: http://www.archive.org/stream/filmyearbook19271927newy#page/n5/mode/2up. Status: Non-access holdings, 35mm nitrate negative and safety copy, approx. 2,500 meters, flash titles, Archives du Film du CNC (Bois d’Arcy). Cinéa-Ciné Pour Tous No. 75, 15 December 1926, p. 16, translation by Christine Letoux. DVD: The entire film is not yet available on DVD. Only 1,263 meters of Die Pratermizzi survive in a shortened French version, which is in itself fragmentary. A clip from the film appears in the Vienna Film Archive DVD release Der Wiener Prater im Film, (Sonderedition Film + Text, DVD, Christian Dewald and Werner Michael Schwarz (eds), Verlag Filmarchiv Austria, Vienna, 2005), but Nita does not appear in the footage used.